As per the latest reports, global retail sales stood close to $3 trillion in 2018 and is expected to grow to $4.88 trillion by 2021. If you are planning to jump on the ecommerce bandwagon and have a share in this awesome growth this is the time to do it. Since you already have a business idea, the other important thing to decide is the ecommerce platform that will form the base of your business. With a host of turnkey ecommerce software in the market, this looks like a pretty easy job. You just have to decide software and pay for it. Task completed. Can you randomly pick an ecommerce software and trust it to make your business a success? Do you think that just creating a website will be enough to make your brand presence felt in the competitive ecommerce arena? Even with the best products and business strategy if you fail to choose the right ecommerce platform, it might be a disastrous move for your business. While finalizing the base of your business, you need to consider many facts. Apart from your business model, you should also consider that the solution you are considering is built in a way that it can accommodate the requirements of your growing business and give you an edge over your competitors. With so many aspects to consider, let us bring for you the exact checklist that will help you decide the top ecommerce platform for your business. Unless you are living in a cave, you know how important mobile is for online business. With almost 80% traffic for online stores coming through the mobile channel you just can’t overlook it. Having a mobile site is quintessential for your existence int the online world. If you don’t want to lose the majority of your business to your competitors who have a solid mobile presence, you should look for an ecommerce solution that offers you mobile ready sites. Google also ranks sites with good mobile experience higher on its SERPs. Hence, if you want to go with the top ecommerce platform, ensure that it is built on advanced technology that gives you a mobile ready site. Also, ensure that these sites work seamlessly on any device and any type of internet connection. What is the main reason that makes your customers keep coming back to your store? Is it your product quality? Your affordable pricing? Or something else. 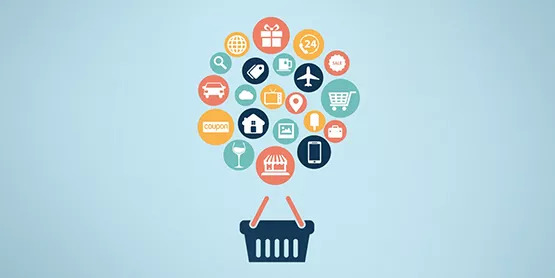 Well to be honest, even with the best prices and products if your website does not offer a seamless shopping experience to your customers, they will not come for more. In fact, they will not only stop buying from you but will also share their experience with peers which will tarnish your brand image. So if you want your site to be loved by your buyers, the ecommerce platform that you choose should offer a smooth user interface along with a simplified checkout process. Also, the site should be fast and load in less than 3-5 seconds. If not you might lose many customers. Your checkout process should be seamless and offer multiple payment options to the customers. If you get all of this at one place, go for it as your ecommerce solution. A beautiful site design makes a last impression of your brand on the visitors. A site design that is aesthetically appealing and easy to navigate very soon becomes the favourite of the customers. If you want to choose a top ecommerce platform, do check that it offers beautiful design themes that are optimized for all screen sizes. Also, it should have the facility for great display of products in image and video formats. This will not only make for an engaging site but will also give better visibility to your products leading to faster conversions. Check a solution provider that offers you easy options to customize your themes along with a rich and optimized themes library. Well, as easy as it may sound initially, running an ecommerce business is quite some effort. You need to plan and integrate a lot many third-party services to your ecommerce software to run the whole show. This necessitates that the ecommerce platform you choose has the ease to integrate third-party services like payment gateways, mailing software, logistics partners, helpdesk, SMS and notifications tools etc. If some of these come pre-integrated it takes away half of your headache, especially if you get multiple payment and logistics options. Also, your solution should have tools and features that allow you to work on your SEO easily. Also, it should have features for running easy and quick promotions and sales, apps for extending existing features. These features make everyday operations smoother and smarter helping you grow your business rapidly. What do you think should be at the core of atop ecommerce platform?Apart from the above-listed features, don’t you think an ideal base for your business should also be flexible and scalable to accommodate your growing business? Imagine if you have to migrate to another platform in a couple of years as the rigid solution you choose can no longer support your growing business needs. This could be a time-taking and painful exercise that might affect your business. So, while choosing your solution provider, make sure that your ecommerce platform is customizable and allows for tweaks in the frontend as well as the backend. Choosing your solution provider can have a lasting effect on your business. So, before taking the final decision, it is imperative that you evaluate your ecommerce platform thoroughly and then make an informed decision. Apart from the above features do pay attention to their security features and the after-sales support available. You don’t want to be left struggling after you have paid for the services of your provider, right. Also, check out their free trial before actually paying for the services. Hope these tips help you make an informed and good business decision and you choose a top ecommerce platform for your business.